Sales management is the attainment of sales force goals in an effective and efficient manner through planning, staffing, training, leading and controlling organizational resources. sales manager can have a narrow or a broad spectrum of responsibilities including the following: estimate demand and prepare sales forecasts; establish sales force objectives and quotas; prepare sales plans and budgets; establish the size and organization of the sales force; recruit, select, and train the sales force; compensate the sales force; control and evaluate sales performances. Planning- the conscious, systemic process of making decision about goals and activities that an individual, group, work unit, or organization will pursue in the future and the recourses needed to attain them. Staffing-refers to activities undertaken to attract develop and mention affective seals personnel within an organization. Training- The effort put forth by employer to provide the salespersons job related culture skills knowledge and attitudes that result in improved performance in the selling environment. Leading- The ability to influence other people toward attainment of objectives. Leading means communicating, goals to people throughout the sales group and infusing people with the desire to perform at a high level. Controlling- monitoring sales personals activities determining whether the organization is on target toward its goals and making correction as necessary. Organization- A social system that is goal directed and has a deliberated structure. Social- Being made up of two or more people. Goal directed- an organization is design to achieve some outcome, such a profit, meeting spiritual needs or providing health care. Deliberated Structure- tasks are divided, and responsibility for their performance is assigned to organization members. 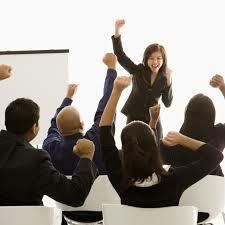 Organizational Effectiveness- the degree to which the organization achieves a stated objective. Organizational Efficiency- the amount of resources used to achieve an organizational goal.